Americans are beginning to warm to socialism and universal programs, in part because capitalism has created such an insurmountable economic divide that it is increasingly difficult for millions of people across the country to live sustainable lives. You can see this interest playing out in different ways, like how a majority of Americans support proposed policies like Medicare-For-All and tax hikes on the rich and how the Democratic Socialists of America have over 55,000 members now, up from a mere 7,000 in 2016. And while there’s growing enthusiasm to change how things work for the vast majority of people in the United States, Nancy Pelosi doesn’t care! 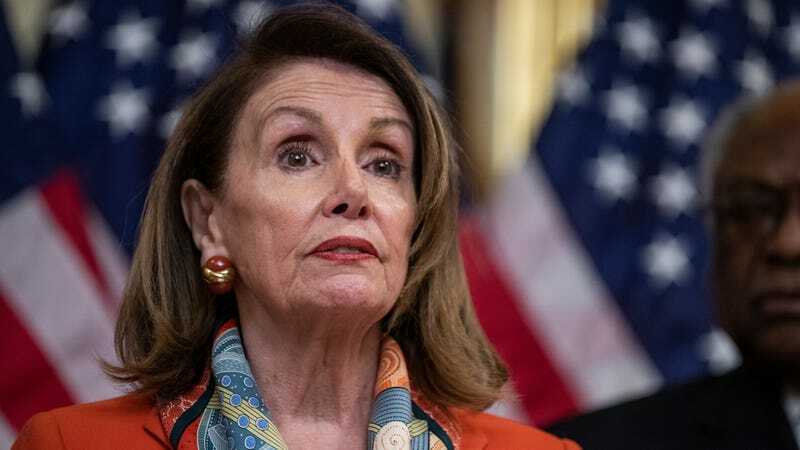 Of the new left flank of her Party, Pelosi said: “That’s like five people,” adding that while she’s “a progressive” she believes the ever-imperfect Affordable Care Act was “better” than Medicare-For-All. Republicans have long been trying to paint Democrats as socialists, in part because some of the party’s most visible members, like Bernie Sanders and Alexandria Ocasio-Cortez, are democratic socialists. This red-scare tactic is not new, and it’s a way for politicians—including other Democrats—to fight against sweeping reforms. None of this is a surprise. Pelosi has long fancied herself a progressive, but in 2019, she’s middle-of-the-road, and for those of us clamoring for real change, for those of us who fear we will be left with no future if our leadership doesn’t change course quickly, that’s not enough. But Pelosi will not cede the center, and she’s convinced even the leftist members of her party will stick with her. “By and large, whatever orientation they came to Congress with, they know we have to hold the center,” she said. “We have to go down the mainstream.” We’ll see about that. Melania Doesn&apos;t Even Want to Be on the Cover of Vogue, Okay? What&apos;s So Threatening About Ilhan Omar?